quality well under control. The following display several important steps in our chain of production. 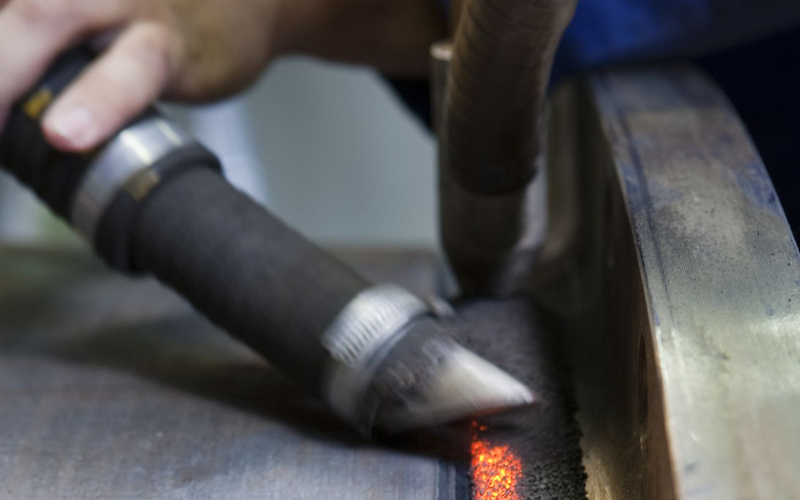 All welders and processes are TÜV-approved and regularly certified by renowned testing institutions; all work is carried out according to detailed welding plans. 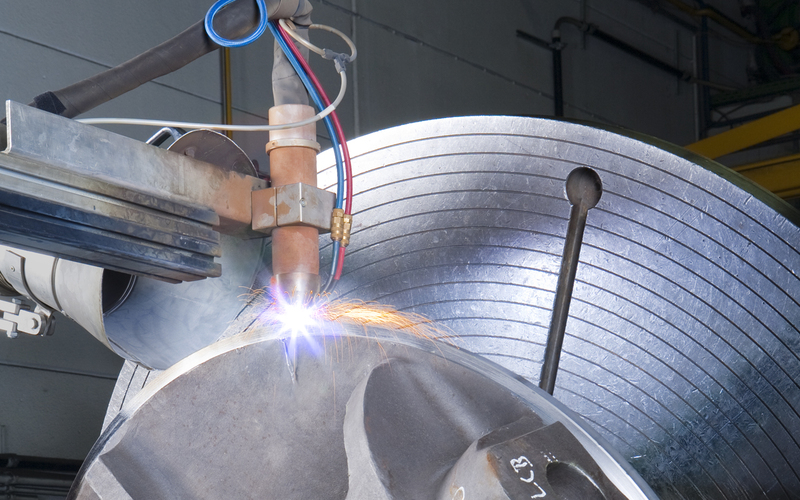 Our welding shop uses both manual and semi-automatic welding processes. The most important of these are Submerged Arc Welding (SAW), Tungsten Inert Gas welding (TIG), Metal Active Gas welding (MAG) and electrode manual welding.Equipment for submerged arc welding. 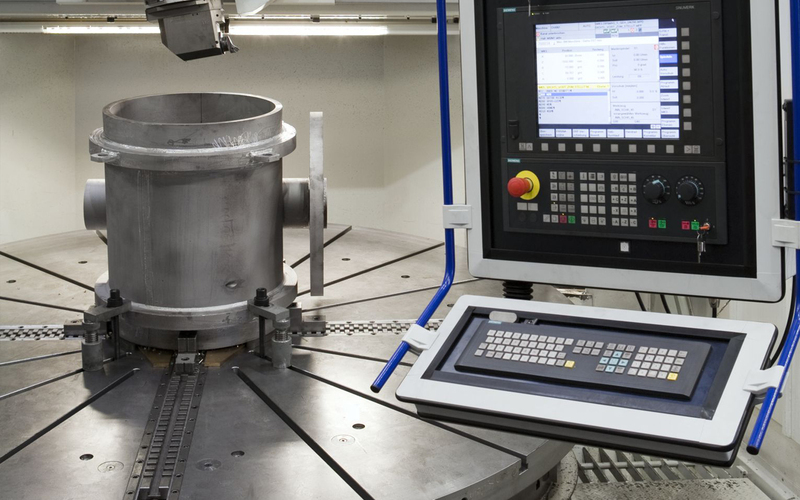 Our state-of-the-art CNC machine tools enable us to perform modern 5-axis processing with exact reproducibility. individual product elements efficiently and flexibly on-site with a relatively low real net output ratio. Our department for manufacturing large parts is specially equipped to deal with unusual dimensions. determining defined parameters, our extensive testing equipment makes it possible to perform reliable approvals for the requirements of each range of application. These approvals also include simultaneous documentary scrutiny and are exclusively performed under the accompaniment of our quality assurance. 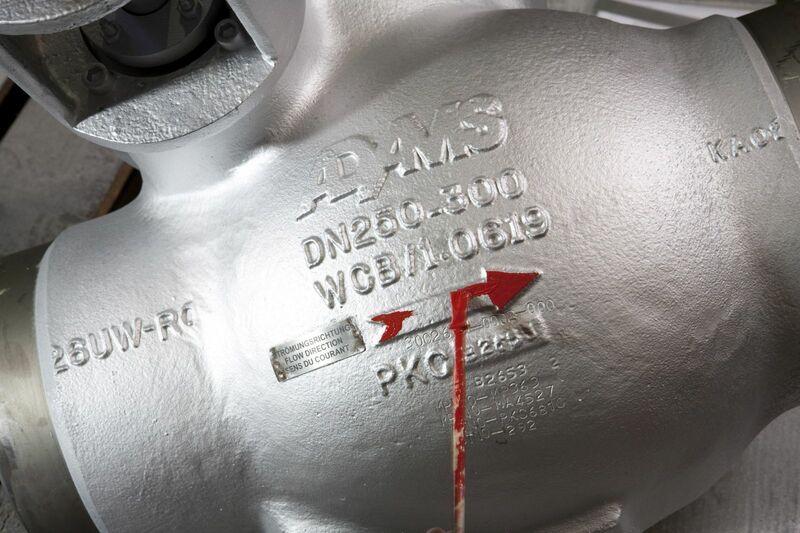 The company has its own paint shop, enabling it to efficiently comply with customers’ wishes regarding surface coating if a particular type of surface protection is required for a certain application. 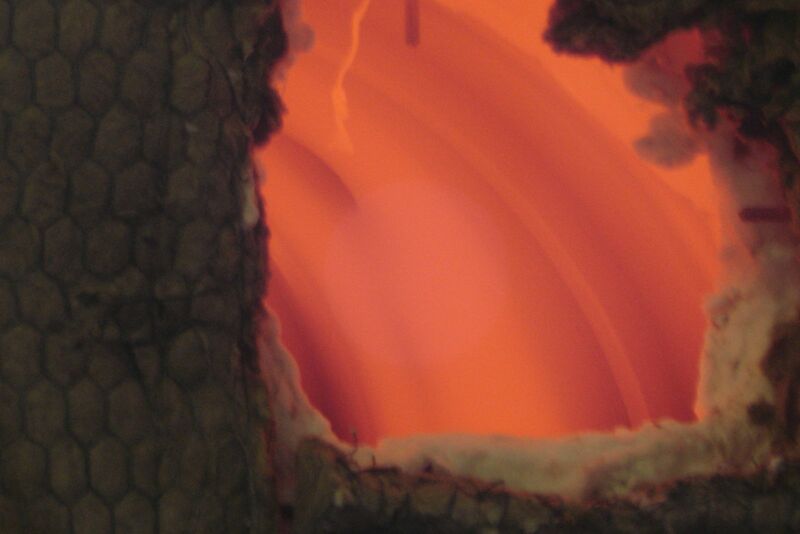 Examples of these are hot zone, drinking water or explosion protection applications.